The E.S.S. Veterinary Video Endoscopy System includes our "All-In-One" HVP-2100/2100L Combination video processor, light source with air, and LCD monitor in a compact and portable unit. 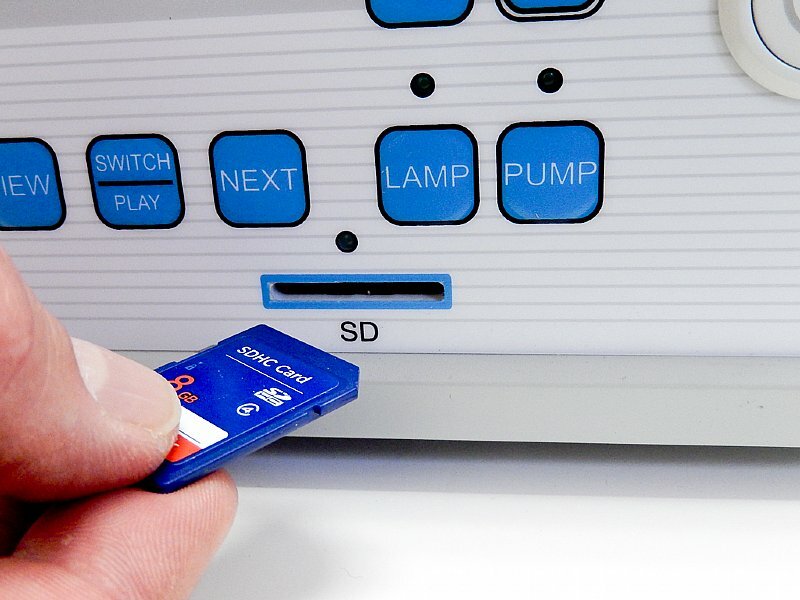 -Easy to use - With a simple "plug-&-play"
connection that makes set-up a breeze! -Versatile - It is designed with a standard Olympus style connector for light guide and air. There is an available camera head to attach for rigid and flexible fiberoptic endoscopes. 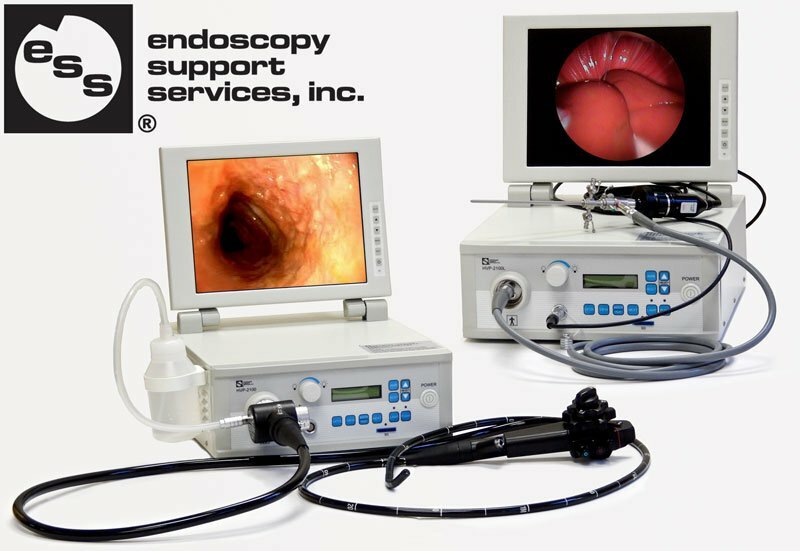 -Compact & Portable - This combines all you need for your video endoscopy in one unit: video processor, light source, air pump, and LCD color. 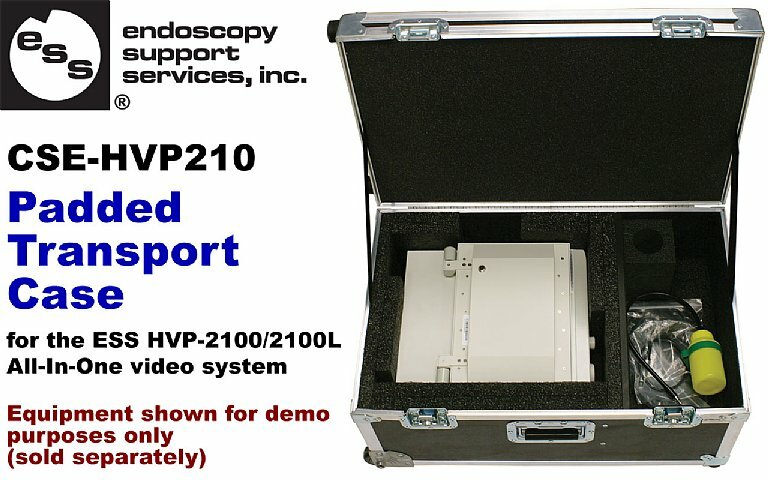 The HVP-2100/2100L also features a built-in image and video capture! Now you can capture image stills and video sequences right from the HVP-2100/2100L to any brand standard SD card. 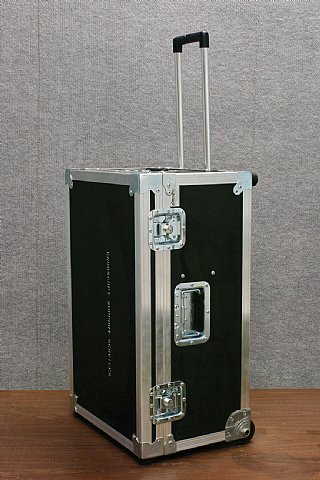 And don't forget about storage with the Padded Transport Case for the HVP-2100/2100L All-In-One! A hard case with retractable handle and built-in wheels to store, protect and easily transport your HVP-2100/2100L and accessories to wherever you have to go! -Durable wooden case with steel edges, corner protectors, case handles and latches. -Foam padding to help protect equipment from breaking or physical shock damage. -Holds one (1) HVP-2100/2100L unit, water bottle, optional camera head, cables and accessories (endoscopes should be stored separately and transported in their own case). -Built-in fixed wheels and retractable handle with push-button release for easy transport. this weekend to ask about it!